I have been blogging for roughly three months and never in this time did I think I would get anywhere with this. However, when I received a notification from a lovely lady named Sharlene asking if I would want to be nominated for the Liebster award, of course I had to say yes. I mean, who doesn't love awards and recognition, especially from fellow bloggers? If you have not read Sharlene's blog (Through R Eyes) you definitely should. Sharlene, along with her boyfriend Josh, are both very much into photography and that is the centre of their blog. Whether it is down the street or far away, they manage to capture such gorgeous photos and write about their travels. I urge you all to go to their blog and leave some lovely responses. 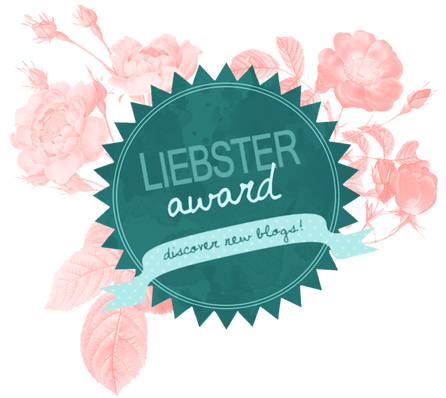 "The Liebster Award 2017 is an award that exists only on the Internet, and is given to bloggers by other bloggers. The earliest case of the award goes as far back as 2011. Liebster in German means sweetest, kindest, nicest etc." To learn more about the Liebster Award, go to the official Liebster Award 2017 post. 8. Post a comment in the (award post) so your blog and post can be viewed. As of right now I do not have a particular favourite blog. I like to read a variety of blogs, both from my niche and outside of my niche. If you have any recommendations of good small blogs to read I will definitely check them out. 1. I went ten years of my life without eating chocolate or cheese. 3. I have never been outside of the UK. 4. I have owned one hamster and one rabbit, but currently don't have any pets. 5. I used to have a hobby of collecting coins. 6. Before studying media, I wanted to be an artist of some sort. 7. I am loyal to Apple and Nintendo. 8. My favourite Marvel character is the Winter Soldier. 9. My favourite sport is tennis. 10. My hobbies include going to the cinema, drawing and photography. 1. What inspires your blog? There isn’t one particular thing that inspires my blog. Generally I just talk about the current situations in Hollywood, whether that be a discussion, debate or review. I also study a little bit about film in college right now, so that can be seen as an influence on what I write about on here. 2. What are three items you would take on a stranded island? The first thing would be a survival book. Somehow I doubt that there is internet connection or electricity on this island so I will have to go back to the old-fashioned method of pen and paper. The second item would be an axe so I have easy access to wood and fire whilst alone and stranded. The third thing, which is just for comfort, is a watch. I would go mental without knowing the time. 3. If you could live anywhere where would it be? Easy. Seattle. Ever since I was young I would draw the Space Needle. I have always loved the city, and I hope to at least visit there once in my life. It isn’t too quiet that it becomes boring, but it isn’t too busy that everything feels rushed. The atmosphere also seems perfect, from the urban lifestyle to the first ever Starbucks still there the exact way it looked back when it opened. Through the power of puns. I was thinking of catchy phrases relating to film, and then the phrase "food for thought" came to my head. I then decided that it would be simple to replace food for film, and the name fits in really well. 5. What's one of your favourite memories? Making this film related, one of my favourite memories has to be when I went to my first midnight premiere: a triple-bill showing of Captain America. This was for the release of Civil War, and beforehand they showed the other two films in the Captain America trilogy. I loved it so much. The crowd were absolutely fantastic, full of cosplayers and Marvel geeks like me. Nothing will beat everyone's excitement when Queens popped up on the screen waiting for the first appearance of the new Spider-Man. 6. If you can only eat one thing for the rest of your life what would it be? My choice would be pasta. It is the one meal that I can cook that I am proud of. I make a fantastic pasta bolognese, and I can eat pasta anytime of the day. Dry, with sauce, with beans, I will eat pasta all the time. I don't have a favourite quote in particular, but if I was to point out one I would go for one of the last lines in The Shawshank Redemption which goes "Get busy living, or get busy dying". 8. What's something you can't live without? Easy. My boyfriend. I was blessed when he came into my life and I don't know what I did without him. He has made the past three months the best of my life. If I had to pick one song in particular, it would be Mr. Brightside by The Killers. Even if it is overplayed beyond compare I will always sing along if I hear it. 10. If you can trade places with anyone for a day who would it be and why? I would want to be the Flash so I could just live in the moment, and run incredibly fast obviously. 1. What scent of candle best describes you? 2. What would you say is the meaning of life? 3. You can visit one fictional world, where would it be? 5. Describe a film in just five words (and see if anyone can guess what it is). 6. What song would be in the soundtrack of your life? 7. Why did you start blogging in the first place? 8. What is your most used social media and why? 9. What is the object nearest left to you? 10. Do you eat or drink anything whilst blogging? If so, what is your go-to? I feel honoured to receive this award, and I am proud to pass it on to others that are worthy receivers of the Liebster award. I am proud of how far my blog has come especially in the past month, and I have majorly enjoyed writing on here and I plan to do so for a long time. I cannot wait to read the posts done by my fellow bloggers.